Indian developer Games2win has partnered with Sony Pictures Networks to launch mobile games in the country based off one of its most famous TV shows CID. 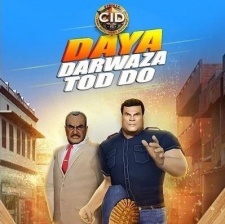 A game inspired by the popular crime television show has already been released called CID - Daya Darwaza Tod Do. Since releasing for iOS and Android, the title has been downloaded more than 500,000 times. Sony teaming with Games2win will see the pair work on two new games that are said to be aimed at millennials who grew up watching the programme. “Sony Television’s CID is one of the most iconic shows of Indian television,” said Games2win CEO and co-founder Alok Kejriwal. While Sony is partnering up with one developer for a licensing deal the company is reportedly looking to sell off its share in social and casino game developer GSN Games.